“The whole purpose behind the bell tower was to create something that encourages people to give back to the university that has given so much. It doesn’t have to be millions and millions of dollars; it’s the giving that is important,” Blatchley said. 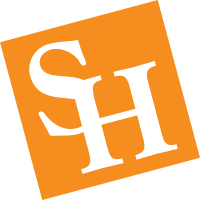 Did you know there are creative ways to support Sam Houston State University? Ways in which SHSU, you and your loved ones all benefit at the same time? Ask us questions, or play with Plan-a-Gift®, our online interactive gift planning tool!